Analysis: Taylor has been on the Physically Unable to Perform list since prior to the regular season after undergoing hip surgery earlier this spring. 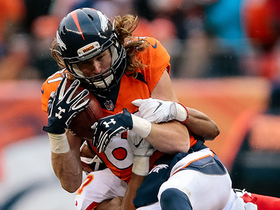 The Broncos have up to 21 days to decide whether to activate Taylor to the active roster or to place him on injured reserve, so keep tabs on the situation in the coming weeks. Taylor (hip) will stay on the PUP list to begin the 2018 season, Nicki Jhabvala of The Athletic Denver reports. Analysis: The move was expected, but it affirms that Taylor will be unavailable for the first six weeks of the season. He's a depth option with just 29 receptions through 26 career games, so fantasy owners won't be dismayed by his absence. 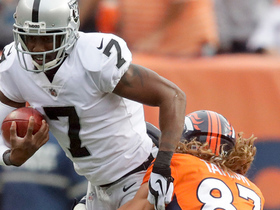 Taylor (hip) is expected to stay on the PUP list to start the regular season, Troy Renck of Denver 7 News reports. Analysis: If Taylor remains on the PUP list, it would rule him out for the first six weeks of the regular season. Taylor has experienced multiple delays in his recovery from offseason hip surgery, and the 26-year-old's absence may well allow rookies Courtland Sutton and DaeSean Hamilton to surpass him on the depth chart. Taylor (hip) will begin training camp on the PUP list and is not expected to be ready for the start of the regular season, Jeff Legwold of ESPN.com reports. Analysis: Taylor was originally aiming for a mid-camp return to the gridiron, but that has since been delayed, suggesting he isn't recovering as quickly as he'd hoped. Although he's seen the field for over 250 snaps on offense during each of the last two seasons, Taylor's outlook heading into the 2018 campaign has likely taken a turn for the worse following the team's additions of both Courtland Sutton and DaeSean Hamilton in last April's draft. Coach Vance Joseph indicated Tuesday that Taylor (hip) will "probably be back mid-camp," Zac Stevens of BSNDenver.com reports. 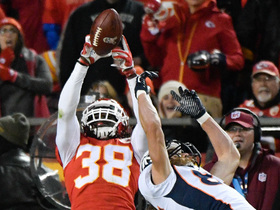 Analysis: Taylor was already slated to miss OTAs, but it appears his issue will pass through minicamp in June and extend slightly into training camp. The third-year wideout saw 258 offensive snaps last season, but the additions of Courtland Sutton and DaeSean Hamilton during the 2018 NFL draft may lessen his outlook entering the 2018 campaign. 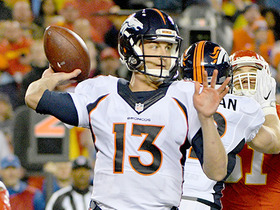 Taylor (hip) will not participate in the Broncos' OTAs, Nicki Jhabvala of The Athletic Denver reports. Analysis: Taylor had offseason hip surgery and was expected to miss most of the team's offseason program. 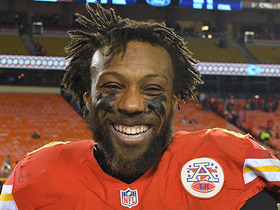 The plan is for him to return by training camp, where he'll hope to secure a role as a depth receiver with the team. 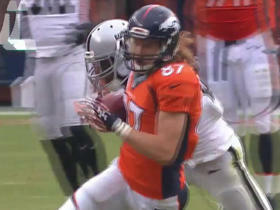 Taylor (hip) signed his exclusive-rights tender with the Broncos on Monday, Nicki Jhabvala of the Denver Post reports. Analysis: Taylor is thus set to spend at least one more year in Denver after signing his contract tender. Bouncing back from offseason hip surgery, Taylor is unlikely to be available for most of the Broncos' offseason program. Taylor is expected to miss most of the offseason program while recovering from hip surgery, Mike Klis of 9News Denver reports. Taylor (hip) wrapped up 2017 with 13 catches on 20 targets for 142 yards. 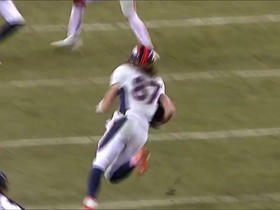 Taylor (ankle) will undergo surgeries on both of his hips in the near future, Mike Klis of 9News Denver reports. 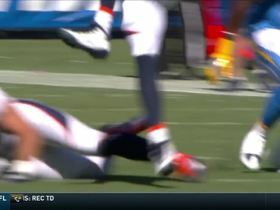 Taylor is nursing a sprained right ankle, Mike Klis of 9 News Denver reports. 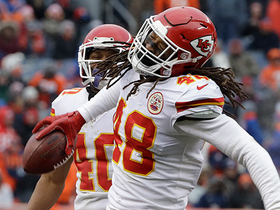 Analysis: The severity of his sprain isn't clear, though Taylor was seen wearing a walking boot in the aftermath of Sunday's loss to Kansas City. Regardless, with the Broncos' season over, Taylor -- an exclusive-rights free agent -- should have plenty of time to recover before Denver has to make a decision on his future with the team. 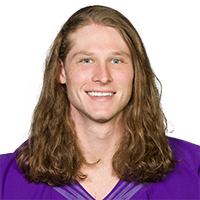 Taylor (coach's decision) is inactive for Sunday's game against the Dolphins. Analysis: After playing a combined six offensive snaps over the last two games, Taylor will be in street clothes Sunday, paving the way for fellow wideout Isaiah McKenzie to reenter the lineup. McKenzie likely will offer most of his impact on special teams, where he'll likely replace Taylor as the club's punt returner. 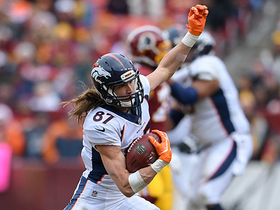 Taylor was inactive during Denver's 51-23 loss in Philadelphia. Analysis: Taylor's intriguing size and deep speed made him a find last season, but he's appeared in just half of the Broncos' first eight contests of 2017. The problem has less to do with Taylor than pure roster numbers. Demaryius Thomas, Emmanuel Sanders, and Bennie Fowler are Denver's primary targets. Then, of the remaining crop, Cody Latimer and Isaiah McKenzie are among the team's top special-teams contributors. It's hard for Taylor to avoid the active-list squeeze.